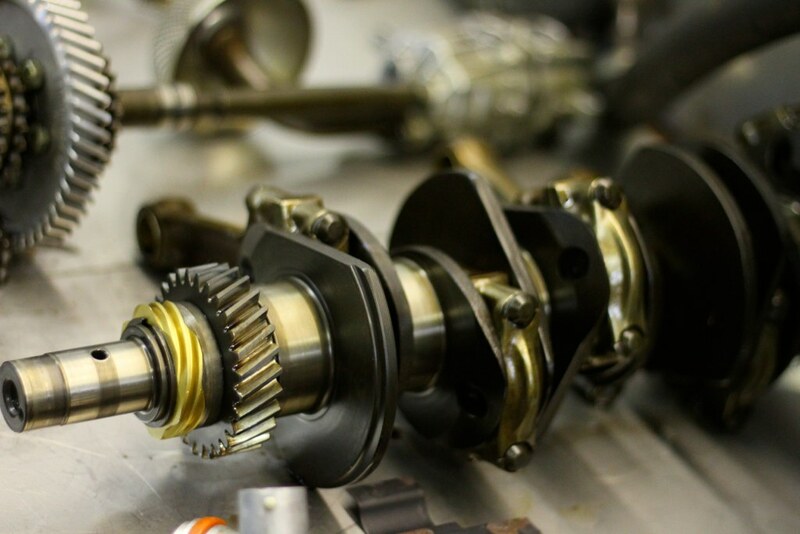 During a full engine rebuild, we modify the crankshaft for several performance gains. By knife-edging the individual throws, we both strengthen and lighten the crank. This allows the engine to rev up faster while still maintaining balance to reduce internal vibration. It also reduces windage in the oil in the bottom of the case, thereby reducing both friction on the throws and the potential for oil frothing. In combination with our other internal engine improvements, this helps the engine last much longer between teardowns.